Stuck in a rut and frustrated with my life, I had to do something! On a quest for meaning and wanting to figure out what really makes me tick, it was by pure chance that I ended up trekking in Nepal. It was one of the most thought-provoking times in my life, that has since inspired our tagline. It’s not just me! 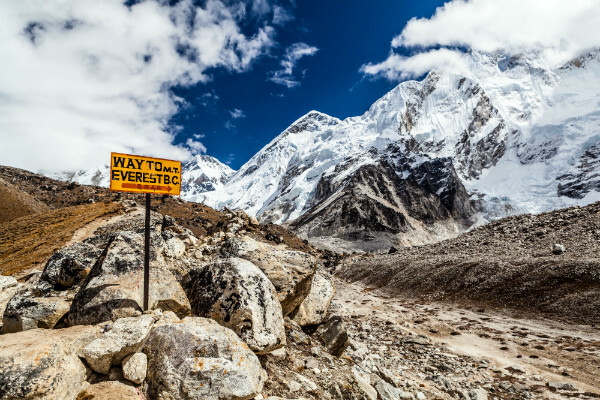 Many of our clients find trekking Nepal is life-changing. That’s why when you trek, we want you to walk your own path. What I love more than anything about trekking Nepal, is the opportunity for self-reflection in the most awe-inspiring place I’ve experienced! Once you hit the trekking trail, you start to feel the power of the Himalaya. Around every corner, nature’s more impressive. You discover inner strength to push on even when it’s really tough. There’s a strong sense of peace and tranquility in the mountains. It’s easy to slip into a reflective state of mind and ‘walk your own path’. Trekking Nepal can be Life Changing! There’s a unique feeling in the Himalaya. An overwhelming sense of connection with immense nature that invokes deep self-reflection. 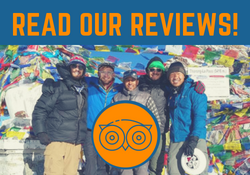 We think trekking Nepal is an amazing metaphor for overcoming obstacles and pushing ourselves physically, mentally, and emotionally. Whether you want to push your physical boundaries and have an amazing adventure holiday; contemplate your life, your values, your vision and test whether or not you’re following your true path; or reconcile your emotions after a difficult time in your life; the Nepal Himalaya will serve you. When you trek, a combination of forces come into play. As you dig deep, you heighten your sense of self-belief. Perhaps for the first time in your life, you realise what you’re truly capable of physically. The inspiration and sense of achievement you feel is deepened by nature. It’s truly an awesome, heart-wrenching feeling. You can’t help being moved in some way. For many, Nepal triggers a desire to make changes and live life with more purpose. Nepal is one of the poorest countries in the world and some scenes may shock you. But many will warm your heart. Everything is so real. A young girl washing her long hair under a tap at the side of the road. Children playing in the street with a coke bottle top tied to a piece of string. An old woman sitting on a rock plucking a chicken. The scenes are mesmerising and refreshing. This is a real world without the insane, constant distraction of technology that we’re accustomed to. If you’re looking for some perspective in your life, we guarantee you’ll find it here. 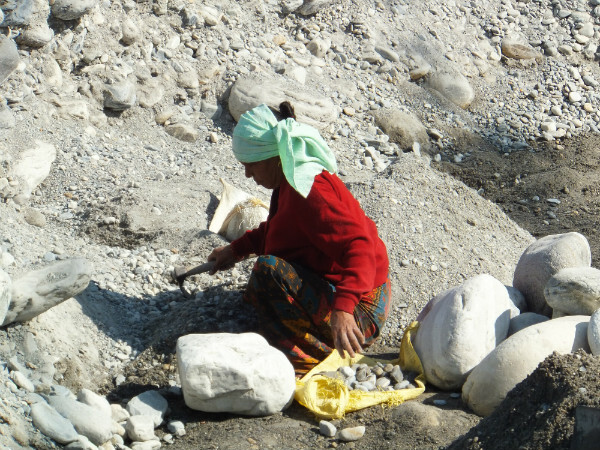 You can read more about life in a rural Nepali village in this blog. For many, trekking Nepal is a journey of self-belief. As you build your physical fitness during the trek and push your boundaries beyond what you believed to be possible, you feel an amazing sense of achievement. Don’t be surprised if this changes your life! Once you get a taste for pushing out of your comfort zone, you’ll want more! Many people discover new active passions once they’ve trekked the Himalaya – I’m one of them! 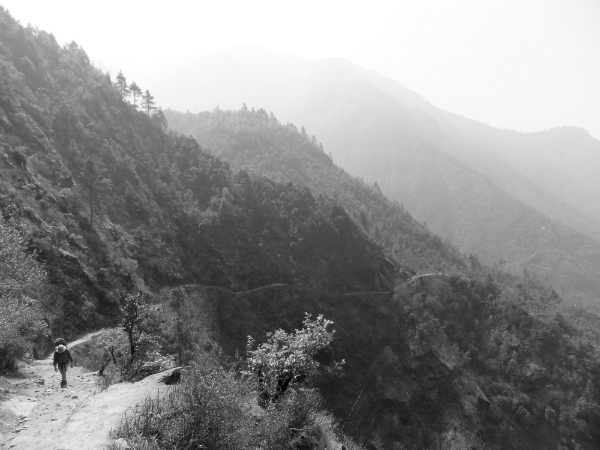 Once you get home you’ll be eager to make some lifestyle changes, not to mention a return to Nepal for a longer trek! The life changing bit is up to you! But we can help to set the scene. We understand the potential on offer when you trek Nepal. Having an amazing adventure holiday is just part of it! That’s why we organise customised, private treks on your terms – when you trek, we want you to walk your own path. We want you to invest yourself in this trip. By choosing your itinerary, dates and travel preference, you get to trek and spend your time how you want! The more your trip works for you, the more likely you’ll be to have the most enriching personal experience. Get in touch with us for a quote and let us help you plan a trip that could change your life! Next postWhat’s it Really Like Trekking Nepal? – A Day in the Life!